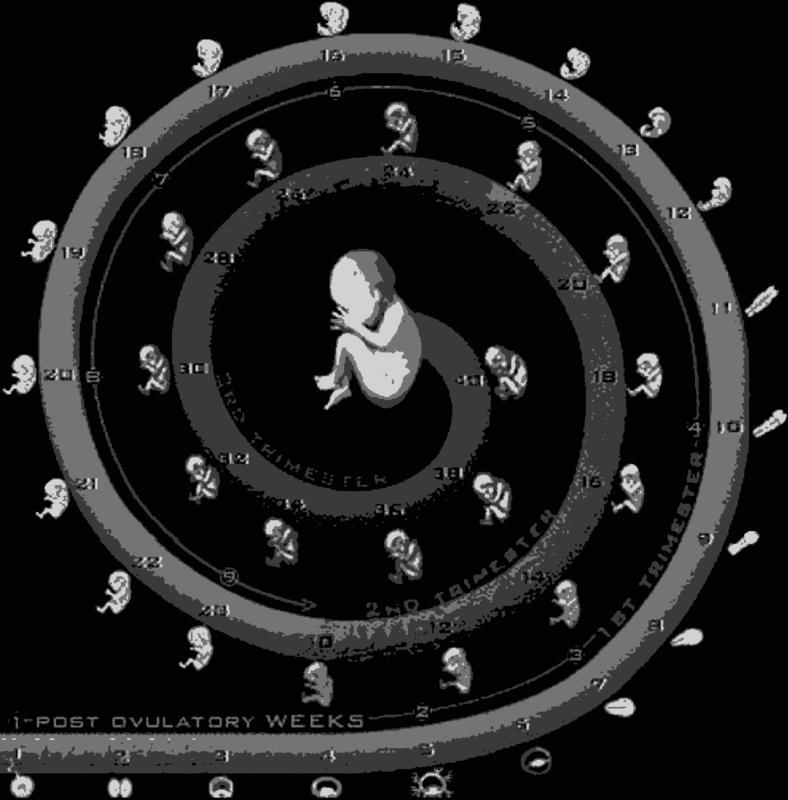 Twentyfour hours before ovulation, human oocytes start to divide into what will become mature eggs. Ideally, eggs include a complete set of 23 chromosomes, but the process is prone to error — especially as women age. Human oocytes pack mother's DNA into 46 chromosomes. When they divide to become eggs — through meiosis — these 46 chromosomes gather along the midline of an oocyte and are pulled in two directions by spindle fibers. The result of meiosis — a single egg cell with 23 chromosomes. Compared to other species — and independent of age of the mother — human eggs are less able to monitor that all chromosomes are correctly attached to spindle fibers, prior to separating chromosomes from each other as they migrate to opposite poles of the nucleus. This leads to eggs that contain too few or too many (22 or 24) chromosomes — known as aneuploidy. Human meiosis, can last up to a full day — much longer than in other mammals. In the mouse, it takes a few hours. Researchers saw that oocyte spindle fibers are often unstable and rearrange themselves. The degree of reorganization correlates to errors in chromosome segregation. However, age-dependent causes for aneuploidy are more related to deterioration of the chromosome structure: "As women get older, their chromosomes come apart before they are meant to," Schuh explains. Points where spindle fibers attach to chromosomes — kinetochores — start to disintegrate with age. Chromosomes can then orient abnormally on the spindle, which very likely promotes separation errors. The review is published in the October 20 Trends in Cell Biology. At the moment there is no way to therapeutically treat eggs with chromosomal abnormalities. But, there are tests to determine whether they exist in a fetus. Many countries offer non-invasive scans and, more recently, blood tests that can look for certain predictors of aneuploidy. Clinicians practicing in-vitro fertilization, know early on whether there are problems related to chromosomal segregation. "Of course it can be emotionally very challenging to try to conceive or to go through different types of assisted reproduction. But one positive aspect that came out of our studies is, although there is an average decline in oocyte quality as women get older — they have many good eggs with no abnormalities." Melina Schuh PhD, Director, Department of Meiosis, Max Plank Institute for Biophysical Chemistry, Germany; paper co-author along with postdoctoral fellow Alexandre Webster. Eggs and sperm develop through a specialized cell division called meiosis. During meiosis, the number of chromosomes is reduced by two sequential divisions in preparation for fertilization. In human female meiosis, chromosomes frequently segregate incorrectly, resulting in eggs with an abnormal number of chromosomes. When fertilized, these eggs give rise to aneuploid embryos that usually fail to develop. As women become older, errors in meiosis occur more frequently, resulting in increased risks of infertility, miscarriage, and congenital syndromes, such as Down's syndrome. Here, we review recent studies that identify the mechanisms causing aneuploidy in female meiosis, with a particular emphasis on studies in humans. 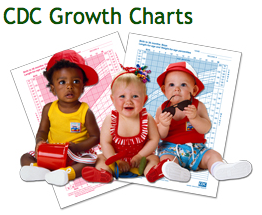 Fertility steadily decreases as women age and, by mid-life, women fail to produce healthy eggs. Meiotic chromosomes experience age-related structural changes that may contribute to increasing rates of chromosome segregation errors. Novel error-causing pathways are reported in human oocytes that might explain how a previously undetected alternative segregation pattern arises. Emerging studies provide a better understanding of why oocytes are frequently defective and lead to age-related infertility. Recent studies have found that meiosis in mammalian females is intrinsically error prone, causing high rates of aneuploidy and infertility. Cellular mechanisms responsible for segregating chromosomes are inefficient, affecting females of all ages. The authors received financial support from the Max Planck Society, the European Research Council and the Lister Institute for Preventive Medicine. Trends in Cell Biology (@TrendsCellBio), published by Cell Press, is a monthly review journal of molecular and cell biology. Monitoring the breadth and depth of current research in cell biology, articles report on new developments as they happen and integrate methods, disciplines, and principles. Visit: http://www.cell.com/trends/cell-biology. To receive Cell Press media alerts, please contact press@cell.com. 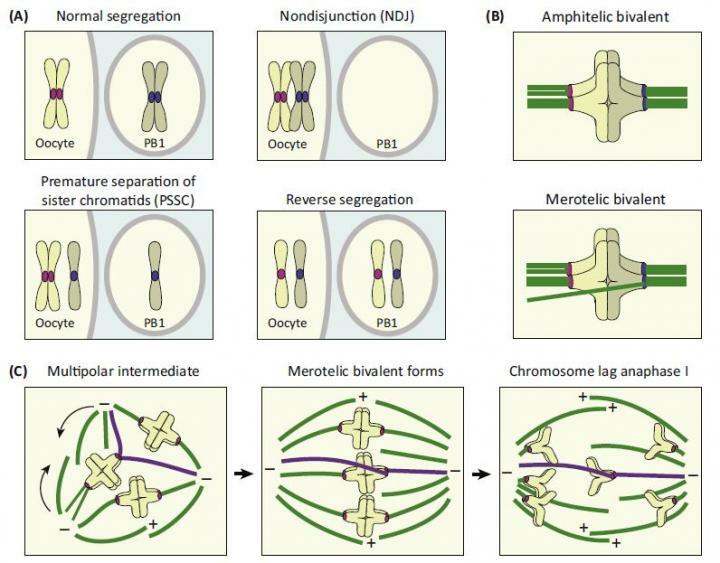 Chromosome segregation errors in meiosis: (A) The three main classes of segregation errors. (B) Incorrect alignment of chromosome kinetochores (C) Mitotic spindle errors. Image Credit:Webster and Schuh/Trends in Cell Biology 2016 VIDEO.